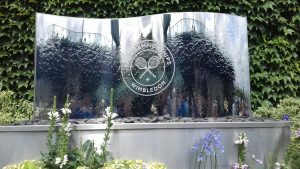 Hat-Trick staff members had the opportunity to take some of their volunteers down to Wimbledon for day 2 of the tennis tournament. Volunteer Co-ordinators, Michael Gardner and Wasim Collins, took the lucky 5 dedicated volunteers down to the famous SW19 postcode on Tuesday. The first game they took in was the all British battle between Kyle Edmund and Alex Ward in their first round game. Unlike the weather here in the North East, Wimbledon saw warm temperatures with the sun shining throughout the afternoon. Taking in the sights of Wimbledon the guys also took in the action on Centre Court from the famous Murray Mound and did a bit of star spotting with John McEnroe and Sue Barker. 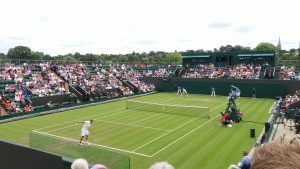 The Tennis Foundation, in partnership with StreetGames, had given the tickets as part of the Serves programme which will see Hat-Trick volunteers continue to deliver mini grand slams in communities across Newcastle upon Tyne. Invaluable support has also been provided by Joanna Cunliffe of the LTA to deliver this Serves programme and allow the volunteers to become Level 1 Tennis coaches. Hat-Trick volunteers have gone through the progression pathway from being players in their own community to becoming leaders. 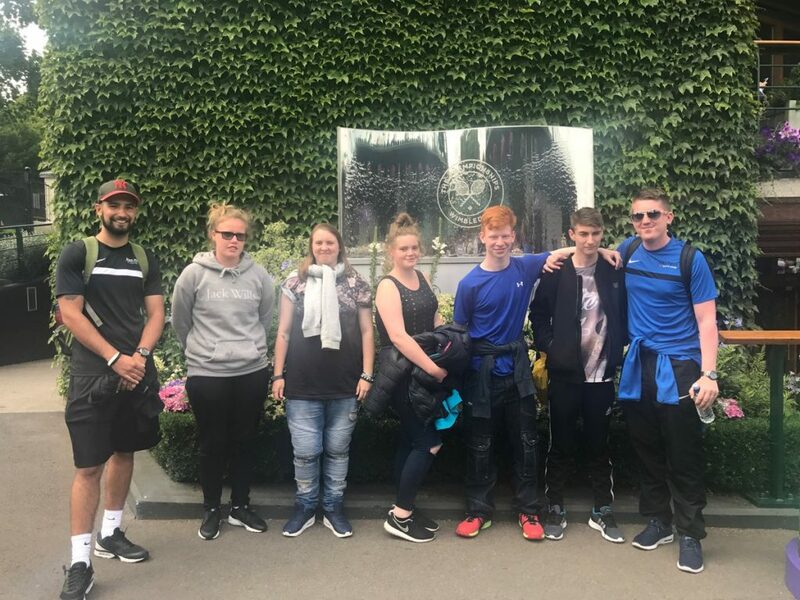 This is great recognition for the young people involved in our many programmes and here at Hat-Trick we are very excited to work in partnership with the Tennis Foundation/ LTA to be able to take Tennis to the streets. Tyrone is one of the volunteers who has benefited from the Serves project and has a massive passion for tennis. Tyrone said ‘it really means a lot to be given a second chance to fulfil my passion once again.’ Tyrone, who turns 16 years of age in August, had visited Wimbledon once before. He stated he cannot wait to start delivering the serves projects and sharing his passion with other young people from around the Newcastle area. Wasim and Michael work extremely hard to give Hat-Trick volunteers not only training opportunities but opportunities to access huge sporting events. Hat-Trick has been actively involved in taking volunteers to the 2010 Football World Cup in South Africa and they were also invited to meet Prince William whilst he was on a visit to Newcastle. Hat-Trick’s influence doesn’t stop there though; they have worked in France, Estonia and Poland. Hat-Trick’s thanks go to StreetGames and The Tennis Foundation/ LTA for this fantastic opportunity.